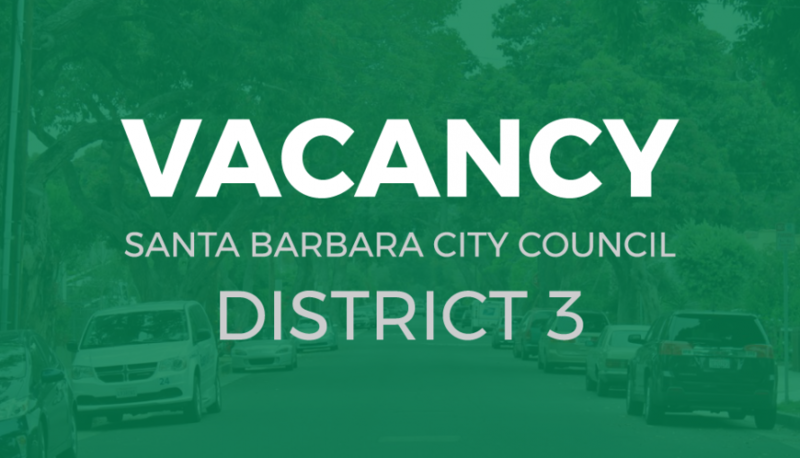 The City of Santa Barbara is accepting applications for appointment to the vacant City Council seat in the 3rd District. The 3rd district contains portions of Lower State, Lower West, and the Westside. Applications will be accepted until January 16 at 5:30. Eligible candidates will be invited for an oral interview by the city beginning at 6:00 pm, on Tuesday, January 23, 2018. We encourage Democrats in the 3rd district to apply! Previous: Previous post: Welcome to our new site!